The upcoming exhibition at The Museum of Fine Arts in Houston brings together seminal British royal portraits which chart 500 years of the British Monarchy. Titled Tudors to Windsors: British Royal Portraits from Holbein to Warhol, the exhibition shows how the very concept of royal family portraiture has been changing through history along with ideas of monarchy and nationhood in Britain. Drawing from the unparalleled collection of the National Portrait Gallery in London, the exhibition brings together around 150 masterworks of painting, sculpture and photography, many never before seen outside of Britain, created by a diverse range of historical, modern and contemporary artists such as Hans Holbein, Sir Peter Lely, Sir Joshua Reynolds, Cecil Beaton, Andy Warhol, and Annie Leibovitz. The exhibition explores four royal dynasties – The Tudors, the Stuarts, the Hanoverians and the present-day House of Windsor. These remarkable portraits, aimed at projecting permanence, stability, serene power, and in modern times, domestic tranquility, reflect the changing attitudes toward monarchy. 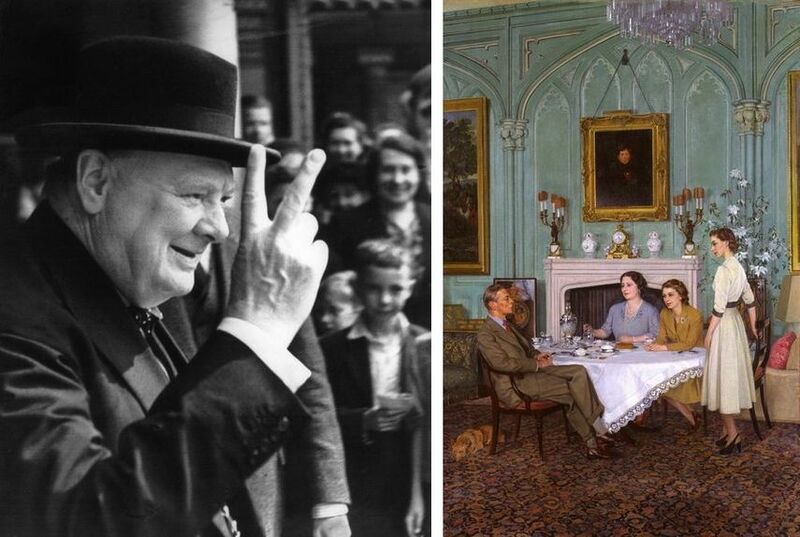 At the same time, these depictions explore a changing nation throughout its history. The exhibition Tudors to Windsors: British Royal Portraits from Holbein to Warhol will be on view at the Museum of Fine Arts, Houston (MFAH) from October 7th, 2018 until January 27th, 2019. 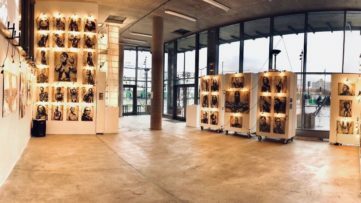 Let’s take a look at some of the best pieces in this comprehensive show! 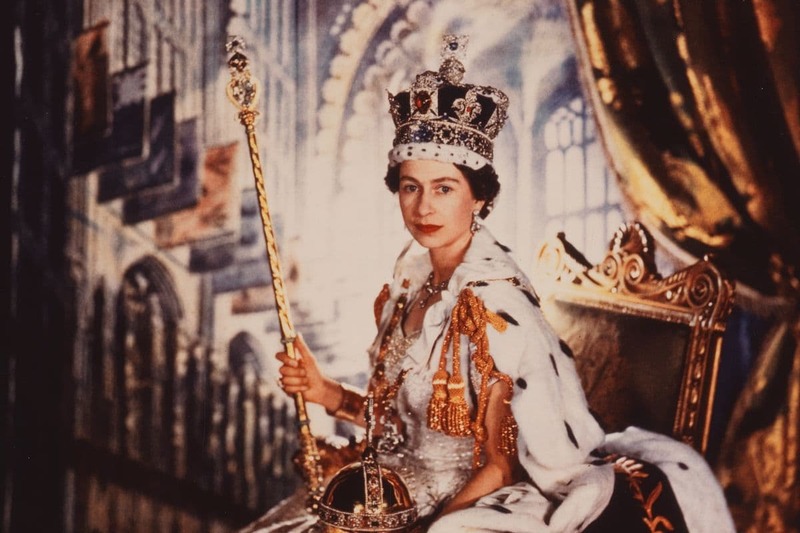 Featured image: Cecil Beaton – Queen Elizabeth II (detail). Regarded as one of the most famous portraits of any British monarch, the portrait of Henry VIII painted by Hans Holbein the Younger was destroyed in the fire in 1698. However, it is still known through many copies that exist. Originally created in 1536-1537, the portrait was a part of a mural showing the Tudor dynasty at the privy chamber of the Palace of Whitehall which was seized after the downfall of Cardinal Wolsey. 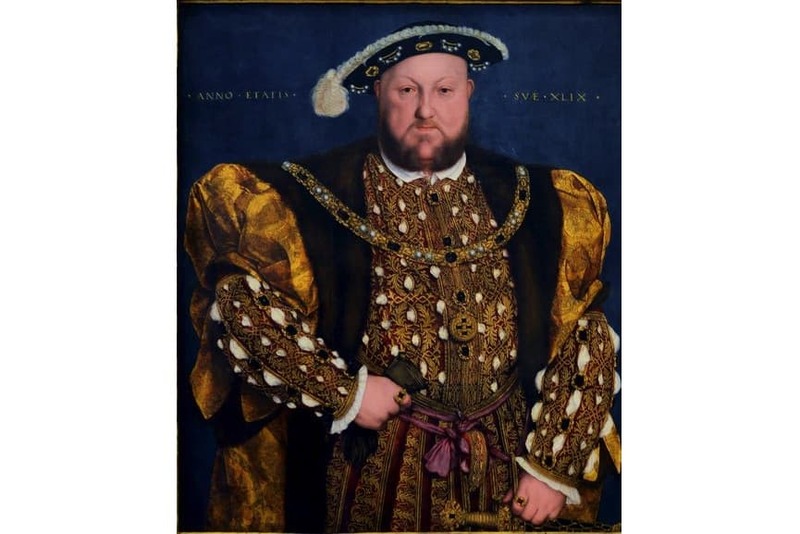 Henry VIII is depicted without any of the standard royal accouterments, however, his majestic presence is conveyed through his dominant posture, with a large codpiece and heavily padded shoulders further enhancing the aggressive masculinity of the image. Intricately painted, the details of his clothing are notable, with the use of gold leaf to highlight the opulence. Created by Marcus Gheeraerts the Younger around 1592, this portrait of Queen Elizabeth I was produced for Sir Henry Lee who had been the Queen’s Champion from 1559-90. 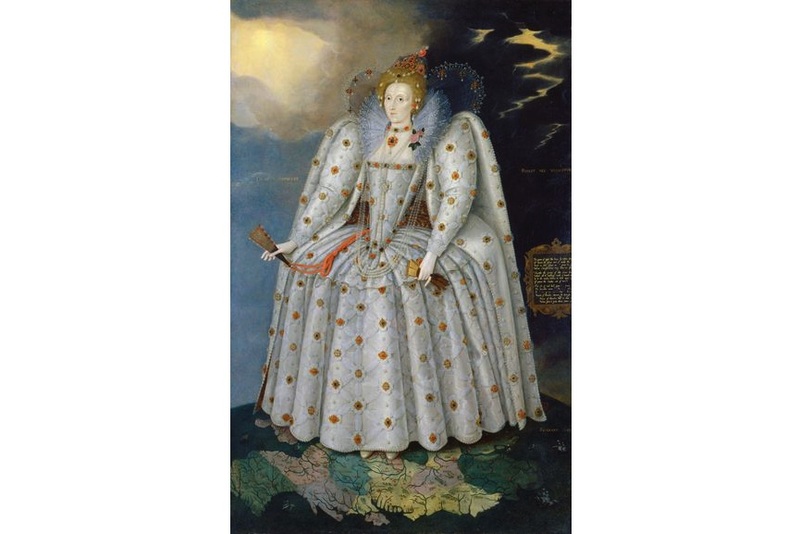 It is assumed that the portrait pays tribute to the symbolic entertainment which Lee organized for the Queen in 1592, which marked her forgiveness for him living with his mistress Anne Vavasour after his retirement in 1590, which was Queen’s Maid of Honour. Elizabeth is depicted standing on the globe of the world, set against a stormy sky which reveals rays of sunshine. Along with the inscriptions on the painting, reading “She gives and does not expect”; “She can but does not take revenge”; and “In giving back she increases” in Latin, the symbolic theme of forgiveness in the work is apparent. Painted by Robert Peake the Elder, the painting Henry, Prince of Wales depicts the eldest son of James I and Anne of Denmark. It is believed it was painted just after he was made the Prince of Wales in 1610. The portrait depicts the young prince wearing a white doublet and trunks embroidered with scarlet, while holding a glove in his right hand. The white hat occupying the table next to him is inscribed with “H” and “P”, which stand for Henricus Princeps (Prince Henry). 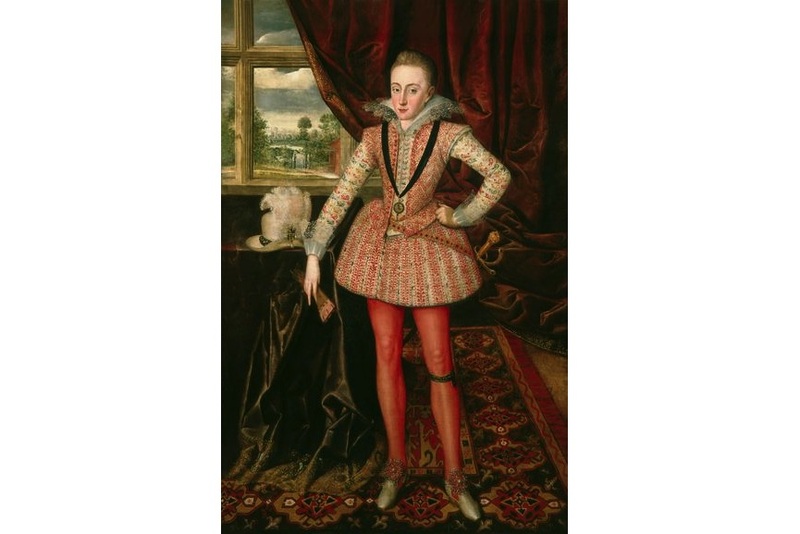 Robert Peake the Elder was Prince Henry’s personal painter, creating three seminal full-length portraits between 1604 and 1610, which serve as the basis of all contemporary portraits. 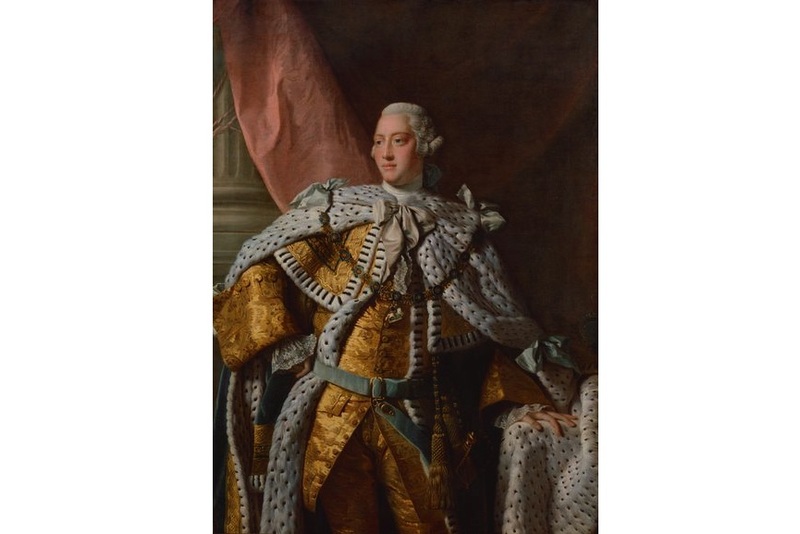 Painted by Allan Ramsey between 1761-62, the portrait of King George III shows the King in his Coronation robes. This commission directly resulted from the success of an earlier portrait the artist painted of the sitter as Prince of Wales in 1758, as well as of a portrait of Lord Bute. The King is depicted in an elegant pose reflecting the dignity and restraint, resulting in a successful combination of graceful and majestic. Ramsey was appointed as “one of His Majesty’s Principal Painters in Ordinary”, painting many versions of these official State Portraits for members of the royal family, sovereigns, heads of state, colonial governors, ambassadors, corporations, institutions and courtiers. 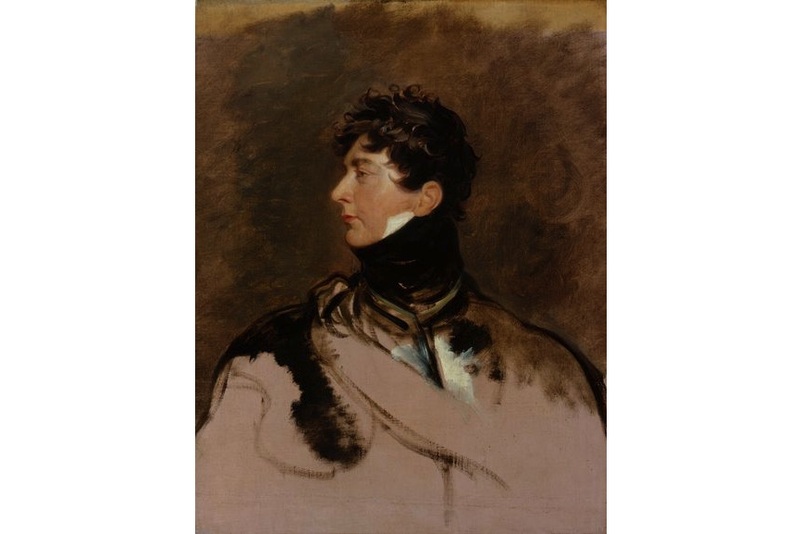 The painting of King George IV by Sir Thomas Lawrence is based on a sketch in black, white and red chalk which is now in Windsor Castle. It is believed that Lawrence had several sittings from the Prince Regent in 1814. In the Catalogue of Paintings, Drawings and Pasters of Sir Thomas Lawrence in Walpole Society Journal suggests that this oil sketch may be the head from which all the state pictures were painted. In Lawrence’s written testimony from 1828, it is said that the portrait was created for the medal, which was never actually executed. 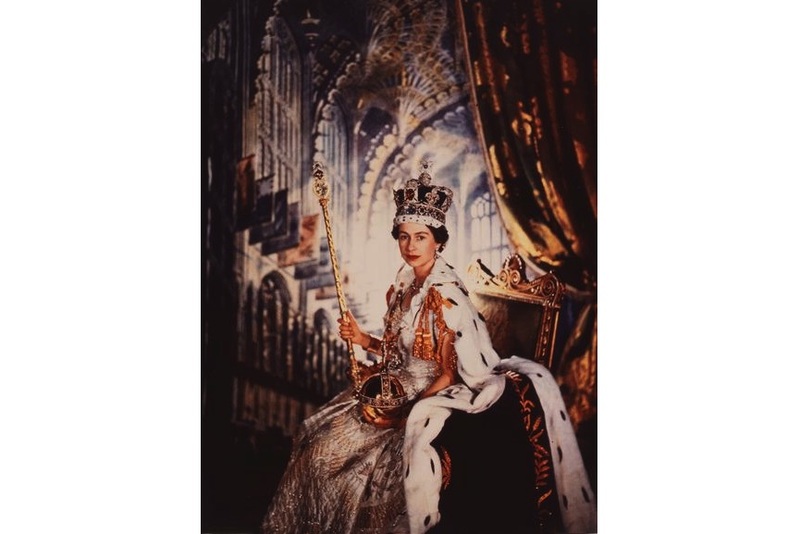 This photograph by the acclaimed English fashion, portrait and war photographer, Sir Cecil Beaton, was created during the Princess Elizabeth’s coronation day in 1953, who succeeded as Sovereign on the death of King George VI in 1952. The Princess and soon to be Queen is photographed in the Westminister Abbey, depicted wearing the Imperial State Crown, a replica of that made for Queen Victoria’s Coronation, and holding the scepter and orb. The image combines the splendor of historic royal portrait painting with an intimacy of the medium of photography. Over the course of almost three decades, Beaton created many portraits of the Queen and the British royal family which were central to shaping the monarchy’s public image in the mid-20th century. 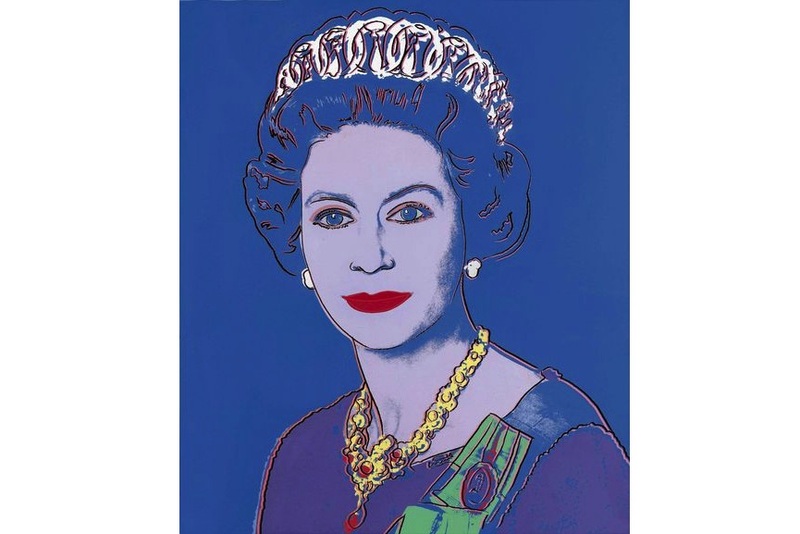 A part of Andy Warhol‘s Reigning Queens 1985 portfolio, comprised of monumental images of each of the four ruling female monarch who were ruling at the time, this portrait of Queen Elizabeth II is based on the official photograph taken by Peter Grugeon at Windsor Castle on April 2nd 1975 and released for the Silver Jubilee in 1977. 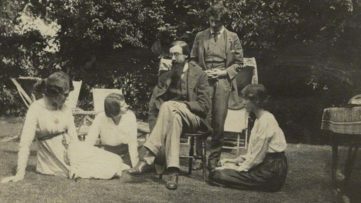 Each portrait is created in the form of a painting and prints, which employed the photographic silkscreen technique which was central to his practice. 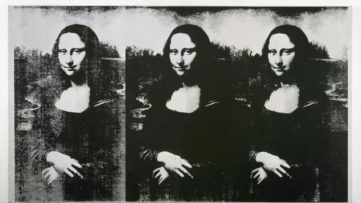 The series combines many themes which were central to Warhol’s practice, such as celebrity, portraiture, consumerism, decoration and the extremes of social hierarchy. 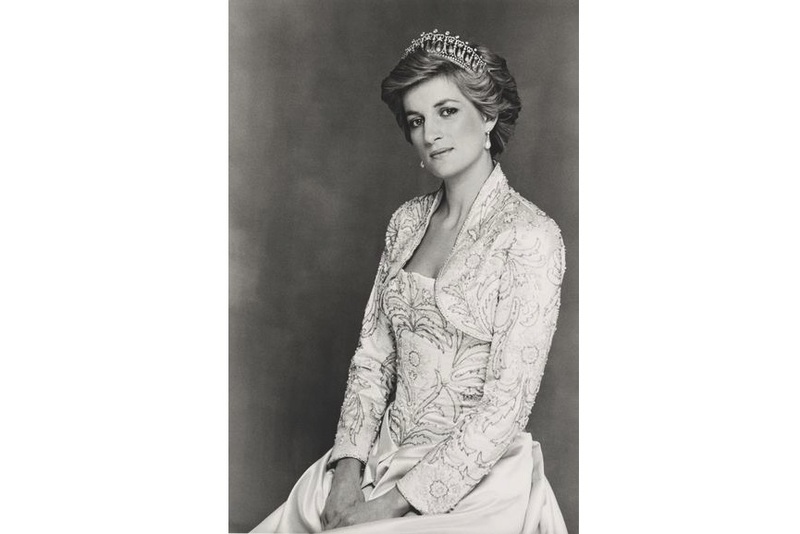 In the mid to late 1980s and in early 1990, Terence Donovan photographed Diana, Princess of Wales, the former wife of Prince Charles and mother of William and Harry, on a number of occasions. Commissioned by the Princess and the royal family, his official portraits of her were taken towards the end of her tenure as HRH, before her official separation from the Prince of Wales in 1992. Combining the grandeur of traditional royal portraits and a directness of gaze and sense of individuality, Princess Diana’s portrait by Terence Donovan bridged the distancing formality of works by Cecil Beaton and Norman Parkinson and the new, more informal style of royal photography. In the series, Princess Diana wore some of her most well-known ensembles by favorite designers including Catherine Walker and Victor Edelstein.